Morocco is a kingdom. It is modern and progressive economically. One example: it’s in the midst of a building program that will create 800,000 new housing units by 2021. On the outskirts of Rabat I saw some of these apartment buildings from the window of the train as I traveled to Casablanca: row after row of identical modern buildings, each holding perhaps eight apartments. Morocco’s tourism industry is a major part of its economy. 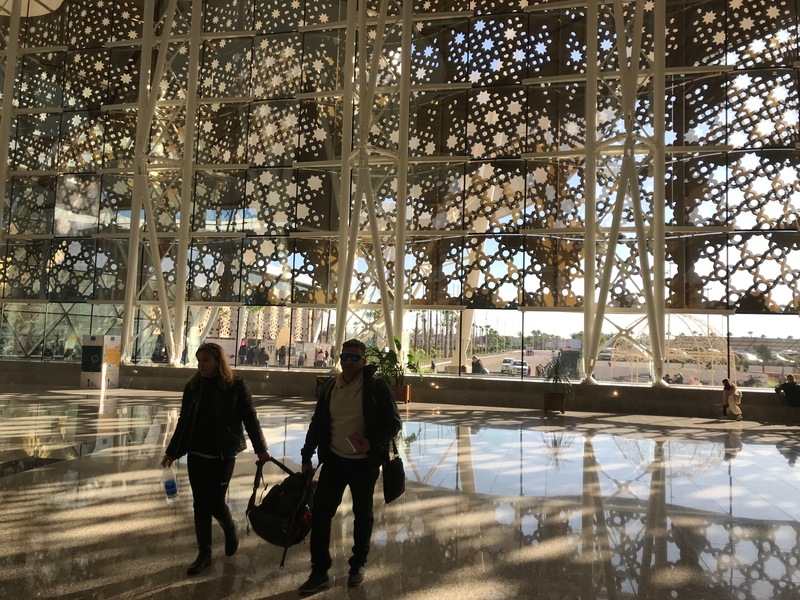 I experienced two newer structures that will play an important role in the growth of tourism in Morocco. 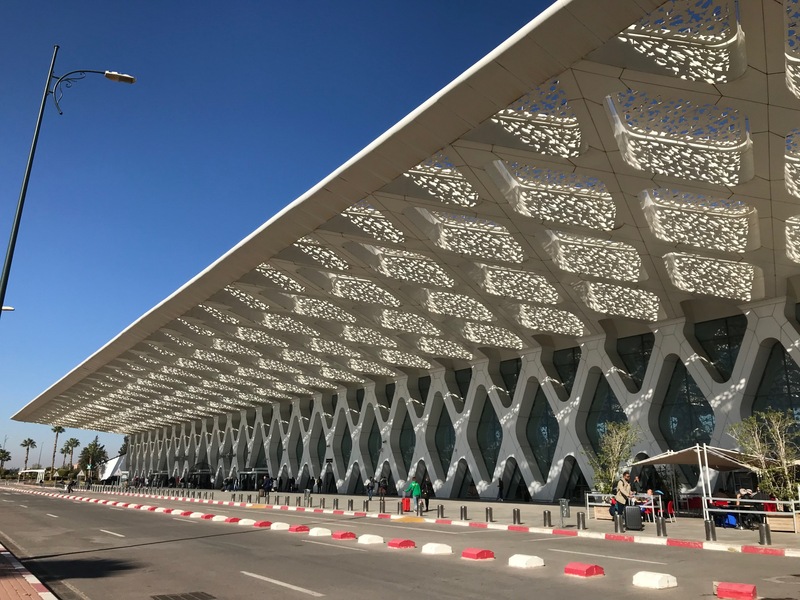 A new train station in Rabat and a recently built airport in Marrakech. Both of these are spectacular. You may be familiar with the high speed trains in France called TGV. The French are sharing this technology with its former colony, Morocco. 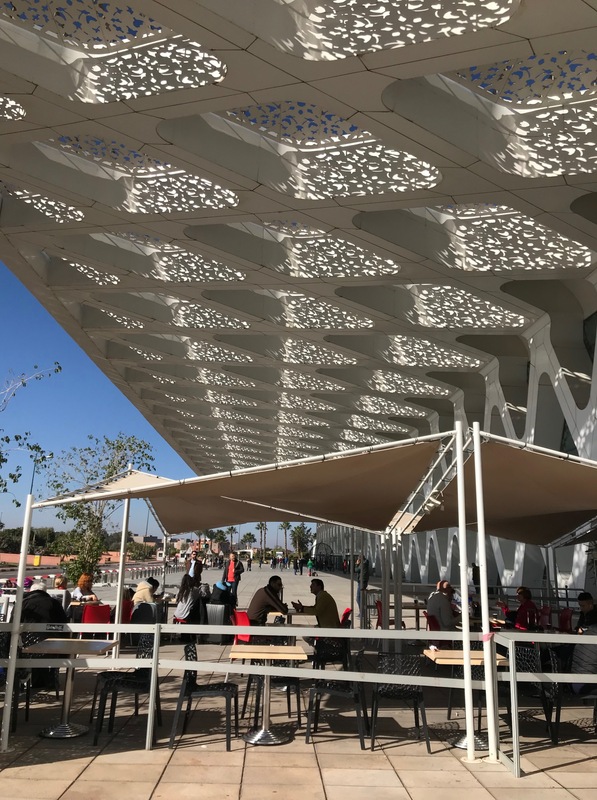 The first high-speed rail line in Africa, Morocco’s TGV line, opened very recently, is in use from Tangiers to Casablanca with a stop in Rabat. It will eventually reach Marrakech. 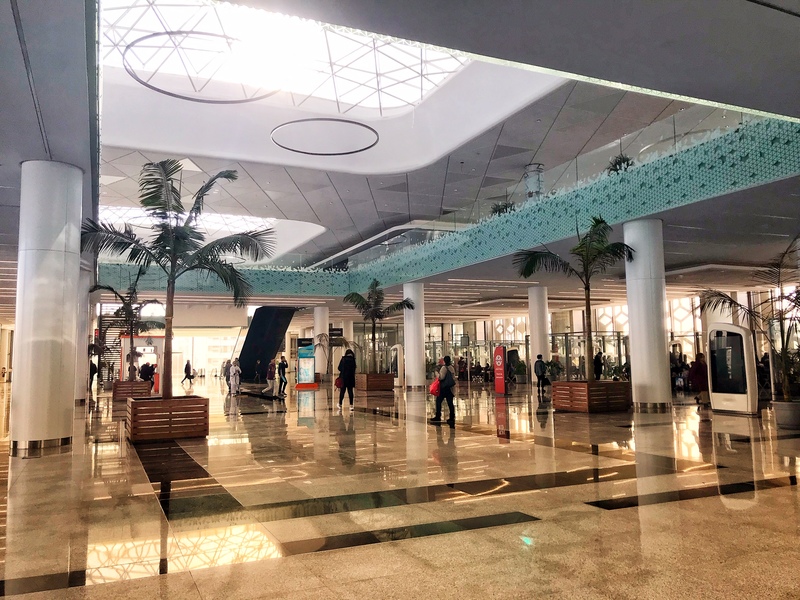 In Rabat an enormous new train station has been built in an area designated as that city’s new financial and transportation center. Just completed in November, the station will have a number of banks, restaurants and shops although most are under construction now. Here are a photos of what I found there at the end of December 2018. 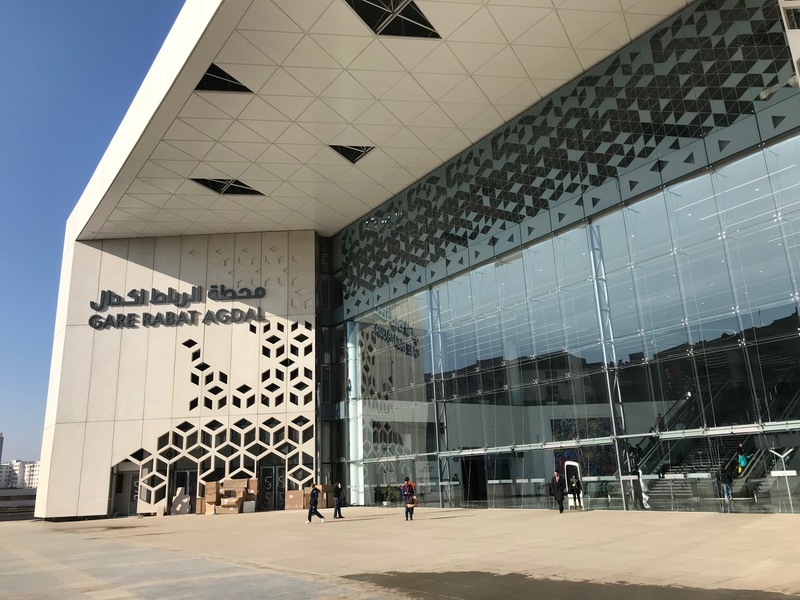 The new Rabat Agdal rail station. Interior of the new Agdal train station will be occupied by banks, shops and restaurants. McDonald’s is already here! Can Starbucks be far behind? 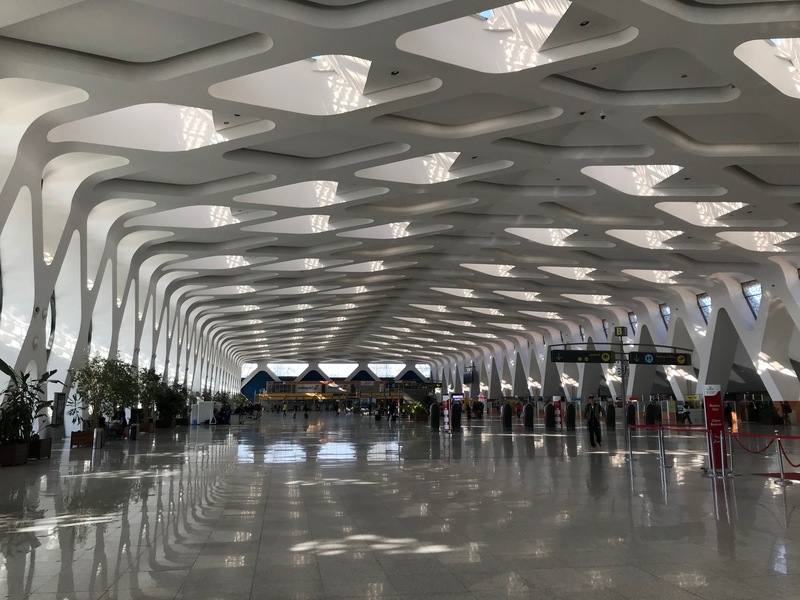 The airport in Marakech has the most spectacular airport terminal. It consists of buildings for arrivals and departures connected at the center. 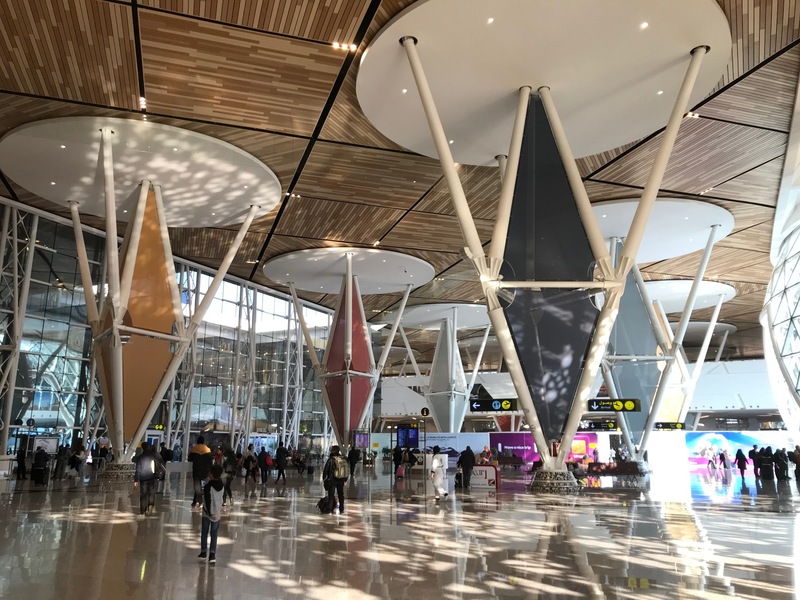 “Completed in 2008, the terminal extension of the Marrakech Menara Airport in Morocco—designed by Swiss Architects E2A Architecture…” This is a quote from an article entitled The Most Beautiful Airports in the World. 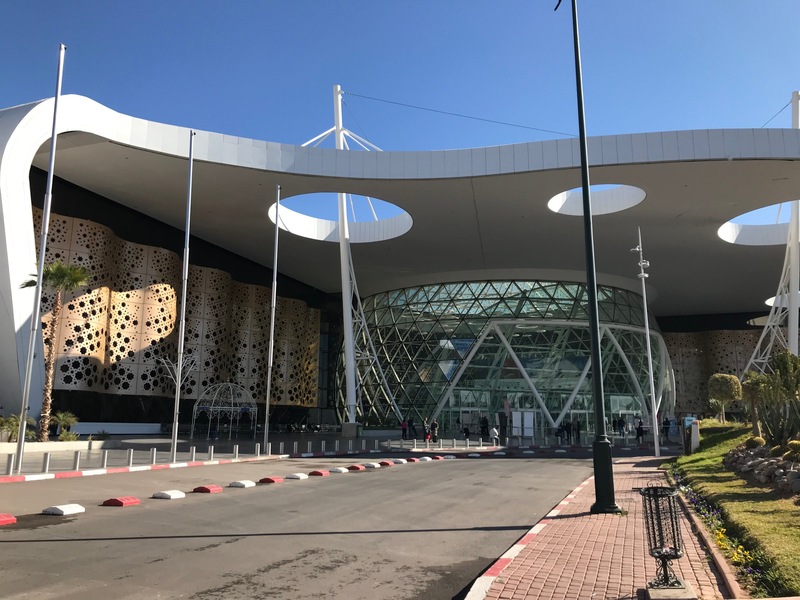 Another view of the arrivals hall exterior at the Marrakech airport. I like the “front porch cafe” but suspect it’s really the smokers lounge. The interior of the arrivals hall. The exterior of the departures hall. The front wall of the departures hall from the inside. I was truly delighted by this giant room. And one you may recognize! 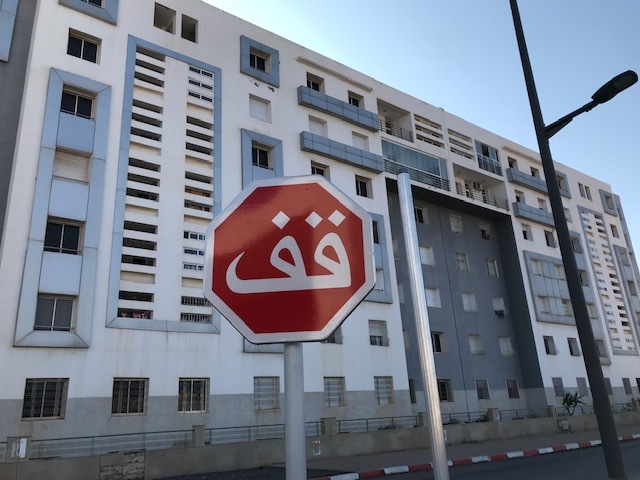 This entry was posted in Morocco by Libbie Griffin. Bookmark the permalink.